Welcome to Osprey Landing I and II where you will find the carefree lifestyle that youve been looking for...and a home that is spacious, convenient and comfortable. Located at the corner of Park and Bay, just three blocks north of Route 50 (W. Colonial Drive), Osprey Landing is within walking distance to the Publix Shopping Center, banking, post office and schools. 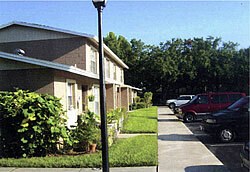 Downtown Winter Garden is two blocks from the complex, and utility companies are a short walk away. 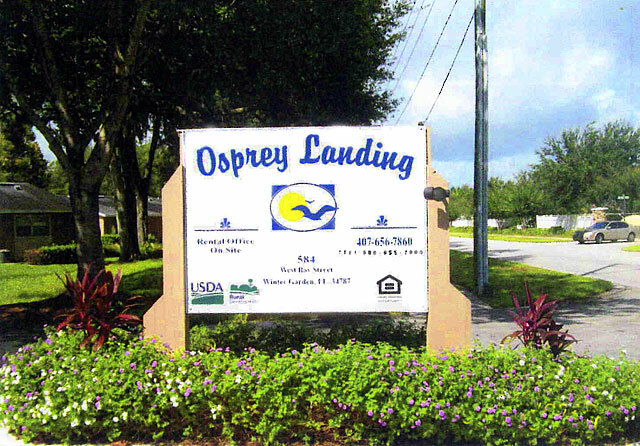 Coming home to Osprey Landing means the convenience and comfort of an air conditioned laundry facility and a community room for social activities. 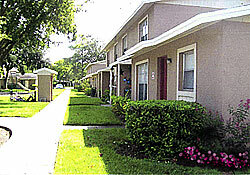 Exercise is a step away with a jogging trail located right behind the complex. 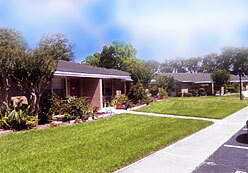 Relax in a quiet country setting, with the assurance of comfortable living in a very safe neighborhood. Our Professional Management Team is waiting to assist you in making a smooth move to your new home at Osprey Landing I and II Apartments. To see our floor plans click here. 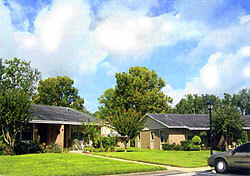 Winter Garden Villas of Orange Co., Ltd.
Winter Garden Villas II of Orange Co., Ltd.